Radiant Days begins in 1978 following Merle Tappitt, fled from an abusive redneck childhood for the only slightly greater comfort of art school. She explores her own artistic impulses and means, and makes a few friends among fellow students, as well as one female teacher who takes a special personal interest. Stimulated by the nascent scenes of punk rock music and graffiti art, Merle herself takes up graffiti, inspired by the work of “SAMO” (a real-world tag which belonged to Jean-Michel Basquiat before he became an art world superstar). Her signature tag gives the book its title. Before we get too far into the story of Merle, the story switches to 1870 and the point of view of a teenage Arthur Rimbaud, likewise going through parent-related difficulties and struggling to find his muse. Although Merle Tappitt and Arthur Rimbaud are separated by an ocean and more than a century, they inexplicably meet, after each has an encounter with a mysterious old fisherman. Rimbaud speaks French and Merle English, yet they understand each other without trouble, cross briefly into each other’s worlds and apart again. I love the depiction of the lives of young, rough-edged creative people. As in her Cass Neary novels (Generation Loss and Available Dark), Hand portrays the gritty, often unglamorous daily life and struggles of the creative person in a way that seems true, equal parts grim and inspiring. Something Elizabeth Hand does better than anyone is show the way impressionable creative types juggle influence and inspiration. A painter might be influenced by music or poetry, might try their hand at charcoal portraits, join a band, or spend a year doing graffiti art. That’s the way real artists find their way, develop a personal style or voice, yet it’s rare to see this path to artistic selfhood portrayed in fictionalized lives of artists. The struggle toward creative self-expression is messy, non-linear, full of self-defeating detours and periods of fallowness and frustration. Radiant Days captures the young artist’s struggle for clarity, for insight and direction. Though Radiant Days is marketed toward the “Young Adult” category of reader (and I’m much older than that), I enjoyed it for Hand’s clear, expressive writing and the honest way she depicted the struggle of the artist, using both the fictional Merle Tappitt and the drawn-from-life Arthur Rimbaud. Works by all my favorite writers keep rolling ashore, two by two. Trade paperback edition of Laird Barron’s The Light is the Darkness arrived recently, just a week or so after I finished his novel The Croning. Just finished reading Brian Evenson’s Immobility (review forthcoming), and one of the very next items in my “to read” pile is Evenson’s new collection Windeye. 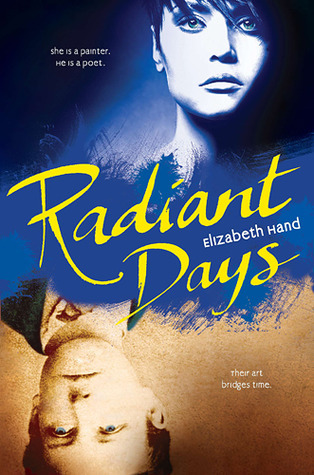 One of my favorite novels this year, Available Dark by Elizabeth Hand, was followed closely by another Hand novel, Radiant Days. Can’t wait to dig into this one. Another of the top writers of weird fiction, Caitlin Kiernan, has one novel The Drowning Girl perched near the top of my “read next” pile, and another collection Confessions of a Five-Chambered Heart schedule to arrive probably the day after I finish her novel. This is certainly preferable to one’s favorite writer taking multiple years between books. Still, I keep looking longingly and impatiently at the pile. So many things I’m eager to begin. Available Dark follows Cassandra Neary, a damaged, self-destructive and somewhat washed-up art photographer, who first appeared in Hand’s 2007 novel, Generation Loss. A novel with Neary as a protagonist is bound to be a wild ride. She’s prone to sudden changes in direction, abruptly taking off for an isolated island off of Maine (in Generation Loss), or to meet a shady Finnish collector of death-obsessed photographs, or chase a long-lost friend/lover who might be in Iceland. Along the way she encounters murder and threat, and often manages to multiply her own troubles by the following her own badly damaged sense of direction. Complicating all this is Cass’s painful personal history, which lingers in her present despite the passage of years. Some people deal with adversity by bucking up and getting on with things, while others self-medicate using a cocktail of antisocial behavior, emotional avoidance, and a constant flow of mood-altering substances. 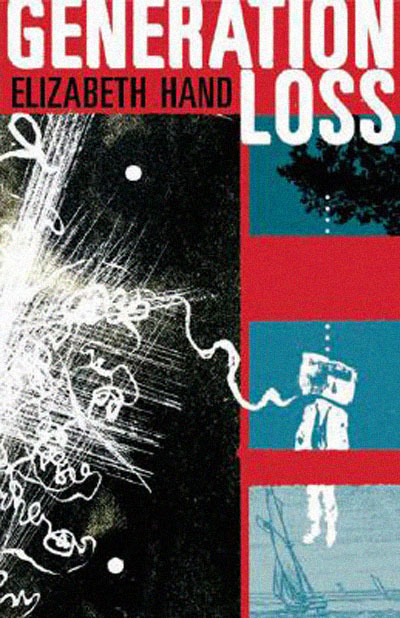 Cass fits in the latter, and for this reason her problems aren’t so much solved as left to accumulate, trailing in her wake. Such a compelling central character does much of the work in engaging the reader. On top of this we have unusual settings (Reykjavik and Iceland’s outlying areas are especially exotic, well drawn here) and such intriguing milieu as the worlds of photography concerned with death and folklore, the Scandinavian Black Metal scene, and obscure underground cult-like groups dedicated to resurrecting ancient Norse worship. The book is packed with vivid details, bizarre characters, and fascinating and varied artistic and cultural obsessions. Most of Hand’s earlier writing was constrained to Fantasy and related genres, but here she steps away from the impossible. Available Dark concerns itself with real world situations, characters and conflicts, yet these convey all the bizarre extremity of the strangest alt-world fantasy. 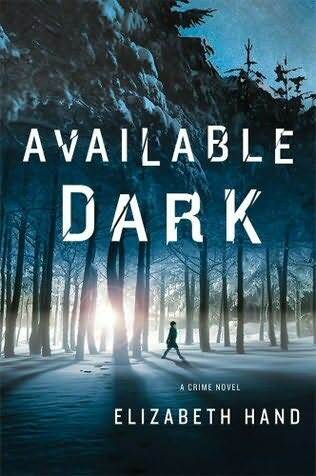 It’s possible some of her devoted readers may be disappointed by what is essentially a mainstream thriller, but I don’t feel Available Dark suffers in the least from the lack of overt “impossible” elements. Normally if one of my favorite genre writers took a detour into the mainstream, I might say, “That’s nice, now get back to what you do best.” In this case, I find the character and settings so compelling I’d happily follow a Cass Neary series. Hand seems to me a writer’s writer, less concerned with superficial effects or pursuit of the latest publishing industry fad, more interested in crafting artful, expressive prose and shining light upon genuine and true “real life” moments. With Available Dark, Elizabeth Hand walks the tightrope between more accessible mainstream entertainments on one hand, and on the other maintaining a high artistic standing in the unflinching exploration of the dark and exotic. Available Dark constitutes yet another proof of Hand’s status as one of the very best writers working today, in any genre. I can’t wait for more Cassandra Neary. 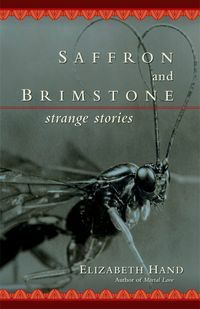 This is my “main read” at the moment, a fascinating and strange novel, but not strange in the usual Elizabeth Hand way. This feels creepy, disjointed and somewhat horror-like, despite the apparent absence of any supernatural or “speculative” element. It’s basically the story of a very troubled woman who used to be a photographer, but whose life has degenerated in various ways to a point where she not only can’t practice her art any more, but can’t relate to or interact with people in any kind of functional way any more. She gets an offer to go interview one of her heroes, a reclusive and strange, and also somewhat broken and unproductive, photographic artist on an island in Maine. As I said, though this is published by Small Beer Press (Kelly Link’s own imprint) there seems to be nothing fantastic, unreal or supernatural going on. Just a lot of weird, troubled people in interesting circumstances. I’m enjoying this as much as any novel I’ve read in the last few years. Another “top recent novel” experience for me, this one I stretched out over a long period of time, though it’s not long. 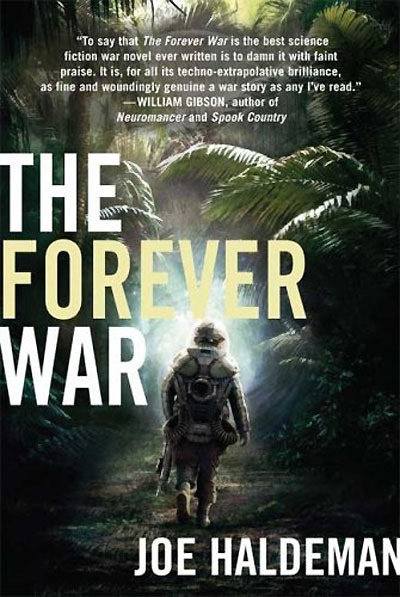 I’ve read some other things, such as John Scalzi’s novel Old Man’s War, which obviously derive from this, and yet Forever War was so well-done, strongly characterized and confidently executed, it felt completely fresh to me. So often as I go back through classics of science fiction and fantasy, I find the quality of the writing to be very poor. It’s wonderful to find someone writing clear, expressive prose. When I read Joe Haldeman, I never find myself second-guessing the way he does things. He’s a writer I’ll definitely continue to explore in the future. 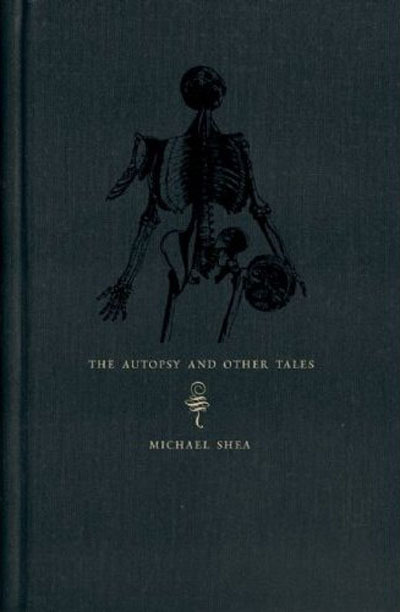 I saw Michael Shea read at the HP Lovecraft festival, and in fact my first exposure to his work was in Ellen Datlow’s Lovecraft Unbound anthology, not long before the festival. I think I heard about this particular book, the beautiful Centipede Press collection, on Laird Barron’s blog, when he mentioned writing the foreword for this edition. When one of my own favorite new writers calls out one of his own influences and favorites, it grabs my attention. I almost didn’t go for this book because it’s very expensive, but I had some Amazon.com gift cards from Christmas and they were offering the book cheaper. I normally try to buy direct and support smaller presses, but nobody gave me a $125 gift certificate to Centipede Press. This is a beautiful book, so much that I’ll definitely give consideration to Centipede editions in the future. Well-bound, beautiful paper, very nice illustrations, enough that I really feel the book is worth the high price. What I’ve read so far leads me to believe I’ll really enjoy the rest of it. Shea writes with a strong, poetic voice, and the stories display a wild, energetic inventiveness. I’m holding off on reading the title story, for now. I’ve heard so many good things about it, and I want to save it. There are many more (even just counting the highlights) so I’ll post this now, and do another installment or two soon.